Join us in the East End Arts Carriage House for some relaxation, creativity, and a glass of wine. Beth Nehls is a watercolor artist who has taught and exhibited her work for many years. She is skillful in landscapes, figurative painting and drawing, and many other genres. 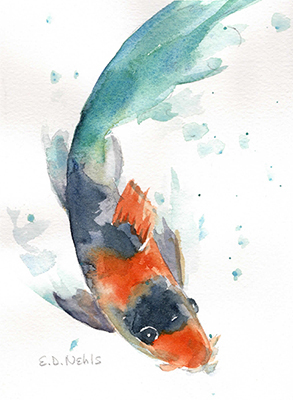 In this workshop you will be provided with references for inspiration and learn various watercolor techniques. Students will be able to create their own 5”x 7” painting to take with them. Makes a great gift for a loved one or to hang on your own wall. Enjoy the social atmosphere of painting with others. Come alone or with a friend! Bring a CD of music if you’d like. All levels welcome! Limited space available.